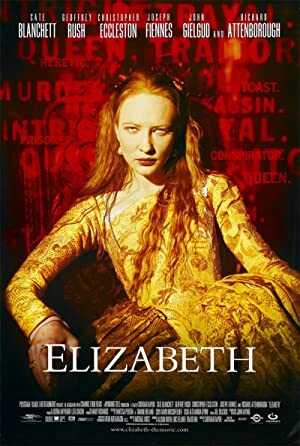 Elizabeth (1998) – What's New on Netflix Canada Today! A film of the early years of the reign of Elizabeth I of England and her difficult task of learning what is necessary to be a monarch. This Oscar-winning treatise on absolute power and its human toll sees fledgling queen Elizabeth I sacrificing happiness for her own safety. This film details the ascension to the throne and the early reign of Queen Elizabeth the First, as played by Cate Blanchett. The main focus is the endless attempts by her council to marry her off, the Catholic hatred of her and her romance with Lord Robert Dudley.